I always find it interesting when I am reading monthly newsletters or periodicals in the Workers' Compensation industry of how rampant fraud is and the extent of what some people go through to commit the fraud. 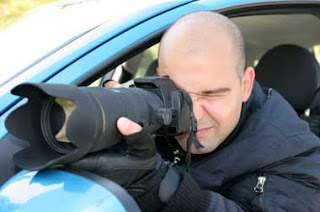 One of the things we always go over with our new clients is surveillance. At any given time, the carrier can hire somebody to watch you and photograph your activities. We've spoken about it before on this blog. If you say you can barely walk due to your injuries, make sure your not working out at your local Zumba studio with all your girlfriends..... or ATV riding with your buddies! Dr. Imitation claimed she cut her ankle and leg after tripping over a pallet. Additionally, she said she was being treated by a physician and was paying the costs herself. Dr. Imitation provided WCF with medical bills and other documentation, and asked to be reimbursed for almost $6,000 in medical services and $8,500 in lost time benefits.WCF discovered Dr. Imitation submitted 15 false, forged documents and bills from a fictitious doctor. The plan was even enhanced by setting up a post office box solely for this correspondence exchange. Dr. Imitation pleaded guilty to workers compensation fraud. WCF saved more than $23,000 in medical and lost time benefits. As a hang glider test pilot, The Pilot enjoyed a challenge. While demonstrating a product to a group, the aircraft malfunctioned and plummeted. Luckily, he had a parachute and was able to make it safely to the ground, except for a dislocated shoulder. For the next two years, The Pilot claimed his arm was too severely injured to return to work. Physicians tried every available treatment with no success. In the meantime, The Pilot decided to move to sunny, southern California. After a tip from a former employer, surveillance video showed him parasailing off cliffs at Torrey Pines Glider Port in La Jolla, California. WCF asked The Pilot to return to Utah for an independent medical exam. At the exam, he told the physician he could not open his car door because of his shoulder pain. After seeing the surveillance, the doctor released The Pilot to go back to work. Subsequently, The Pilot pleaded guilty to workers’ compensation fraud. WCF saved almost $120,000 in medical and lost time benefits. As an ironworker, The Hunter injured his knee when he slipped at work. The injury seemed to get worse over time and he told the doctor he could not walk five feet. Surveillance caught The Hunter mowing lawns, trimming hedges and doing other yard work without any hint of pain. After the yard work, he complained again to the doctor about pain. Within a week, the Hunter loaded an ATV into a trailer and drove to a local canyon. While there, he unloaded the ATV, drove it around on unimproved dirt roads, and hunted for 12 hours. The Hunter was convicted of workers compensation fraud. WCF saved almost $15,000 in medical and lost time benefits, and restitution. Mr. Basketball was a nursing home health professional who claimed to injure his back while lifting a patient. After significant rehabilitation time, he said the injury was only getting worse. The pain was so intense he couldn’t even walk to the mailbox. However, surveillance video showed Mr. Basketball could not only walk to the mailbox, he could play basketball like Larry Bird. He was running, dribbling, shooting and scoring to help his team win. Mr. Basketball was convicted of workers compensation fraud. WCF saved more than $48,000 in medical and lost time benefits, and restitution. The stories above were found on the Workers' Comp Fund Website out of Utah and while they are humorous to read, the cost to investigate, pursue and prosecute fraud can run a carrier millions of dollars. 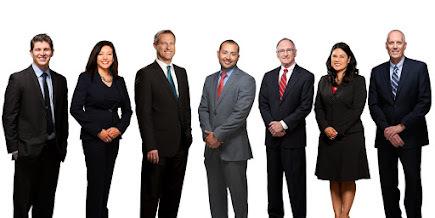 The attorney's at Snow, Carpio, and Weekley are dedicated to helping those who have legitimate claims. Any client found to have misrepresented himself or the events or extent of their injury are immediately discharged as clients. Chad T. Snow is a workers compensation attorney in Phoenix and Tucson, Arizona. He can be reached at his offices at (602) 532-0700, (520) 647-9000.